I’m obsessed now. Welcome to my world. Now I’m blasting this song. I can’t stop singing the chorus. * Is this song about Ellie Goulding? I need to know. Please tell me. Here’s another song I can’t get out of my head. As a way of thanks to my neighbors, I will blast this right now and return the favor. I can’t even say if it’s objectively good, but it’s stuck in my head, possibly forever. 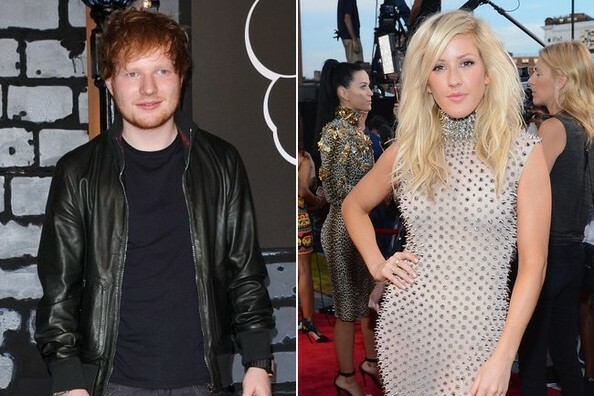 Let’s throw in some Ellie Goulding for good measure, just to make Ed nervous. Do I love him? Yes. Yes, I do. Going to play the Ed Sheeran song 58 more times before bed.